Are you new to the game or returning to the game after an extended absence and don’t know where to fight? Be sure to visit Franklin Teek in the Plane of Knowledge. He has a great list of zones that are worth more XP! 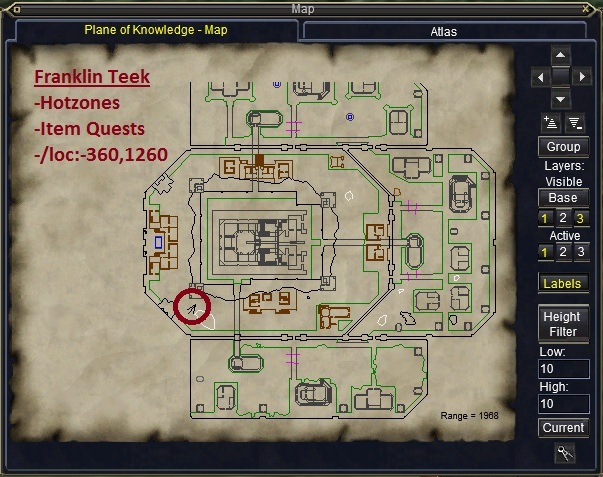 Franklin Teek has a great list of “Hotzones” and simple solo quests to earn gear. Hotzones: Hotzones are designated zones that give players Double XP per kill!! For an updated list of the Hotzones, you can also click HERE. 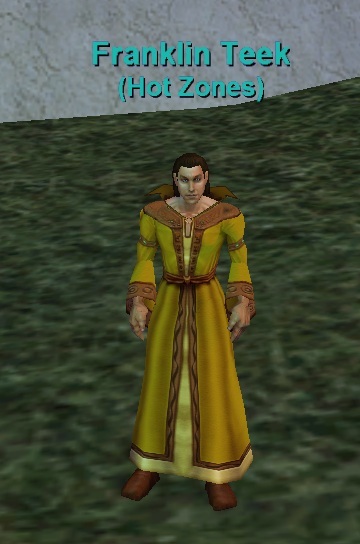 Have an XP Potion or able to use the Veteran Reward “Lesson of the Devoted”? That might be a great time to use it! <wink>. How to Request a Mission and get a list of the Hotzones: Simply target Franklin Teek and “/say tasks“.